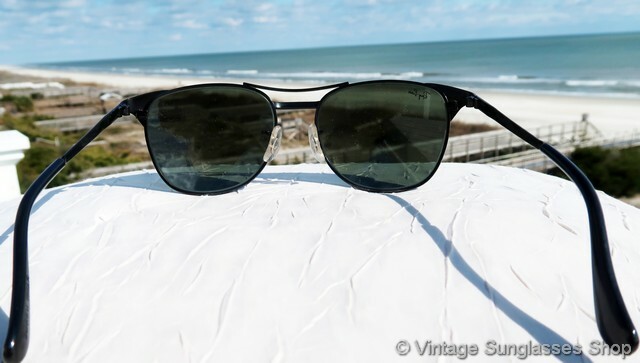 Vintage Ray-Ban W01302 Signet II sunglasses are a slightly larger size than original Signets, hard to find in the black chrome finish and looking great with 56mm B&L G-15 lenses. 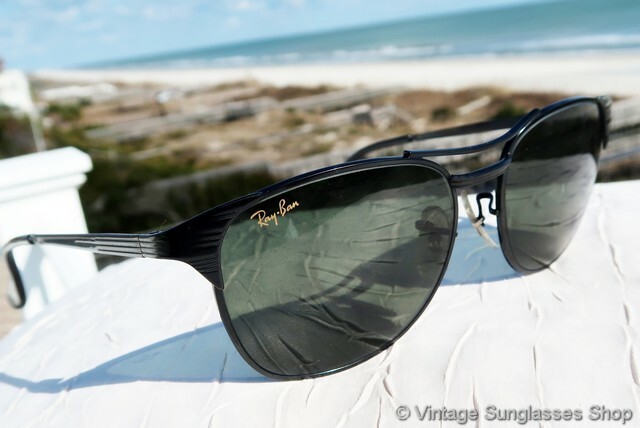 Ray-Ban W0302 Signet sunglasses have the wonderful shape and horizontal etching for which Ray-Ban Signet sunglasses are famous, and it's a finely crafted unisex frame made in the USA and measuring approximately 5.675" temple to temple. 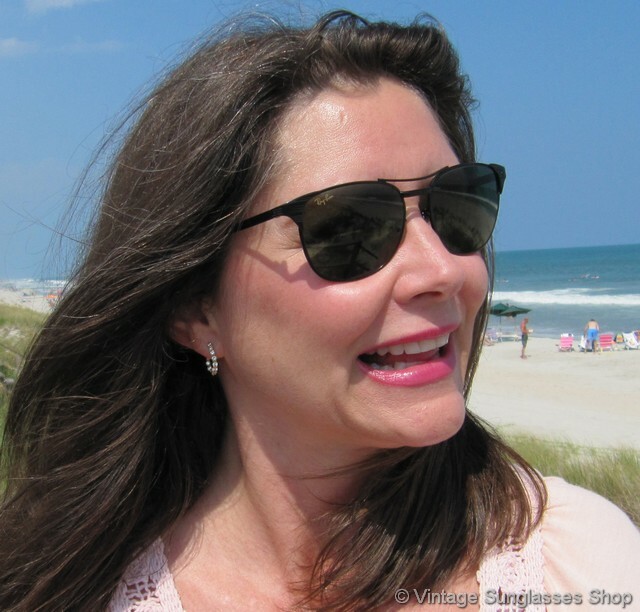 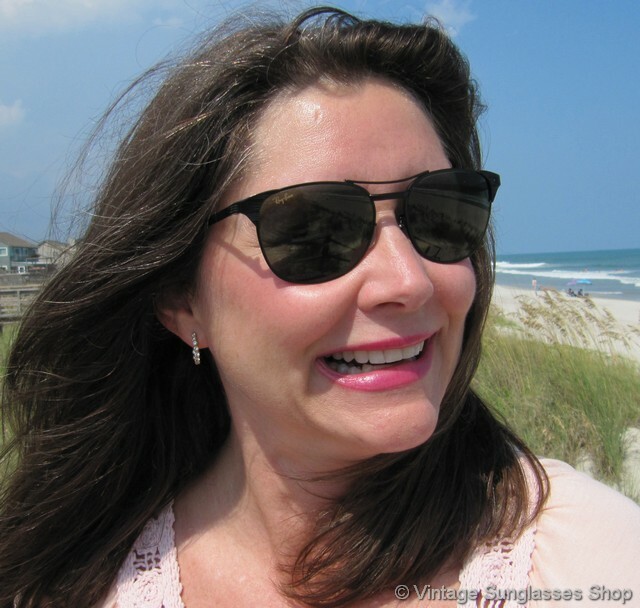 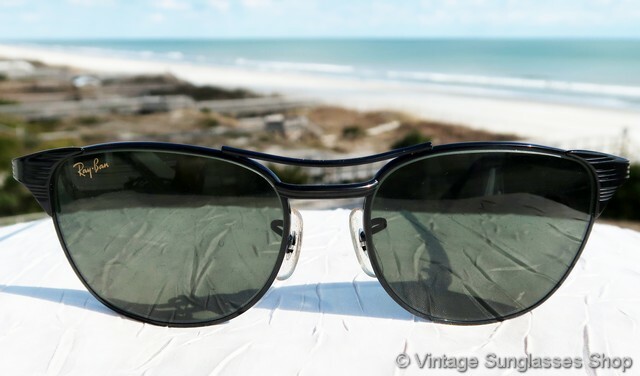 The Bausch & Lomb G-15 56mm mineral glass lenses were designed originally for the military for anti-glare performance in all light conditions, and they still look great and perform great today. They measure approximately 2.25" x 1.75" at the widest points, and the right lens is laser etched Ray-Ban while both lenses are laser etched BL near the hinges. 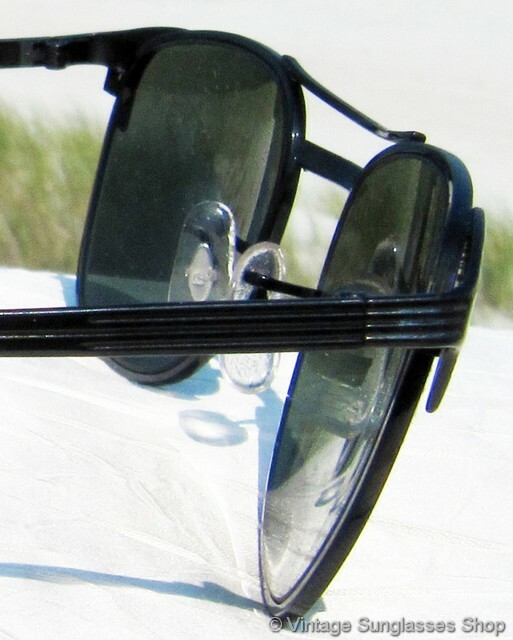 The inside of one black chrome stem is impressed B&L Ray-Ban USA and the other stem is impressed Signet II, and on some production one ear pad is marked W1302 XUAS. 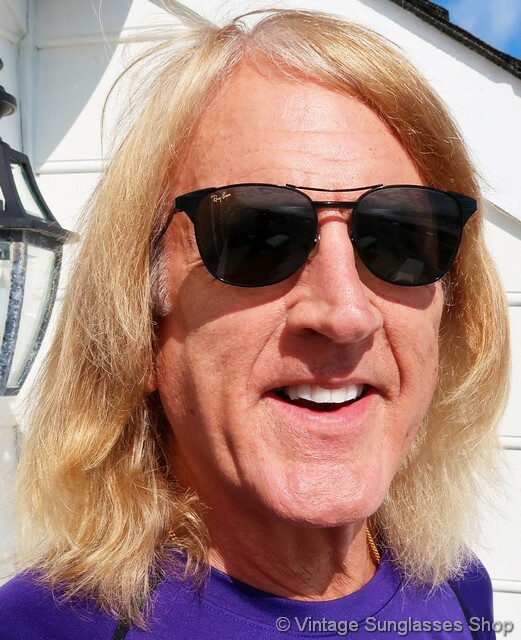 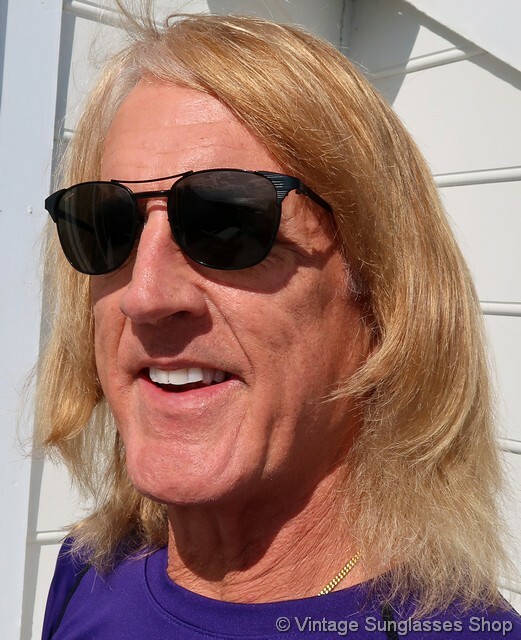 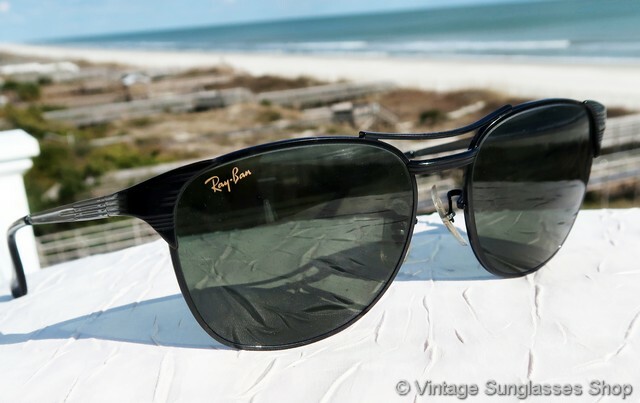 The top of the nose bridge is impressed B&L Ray-Ban USA while the bottom of the bridge is impressed B&L Ray-Ban 56  19. 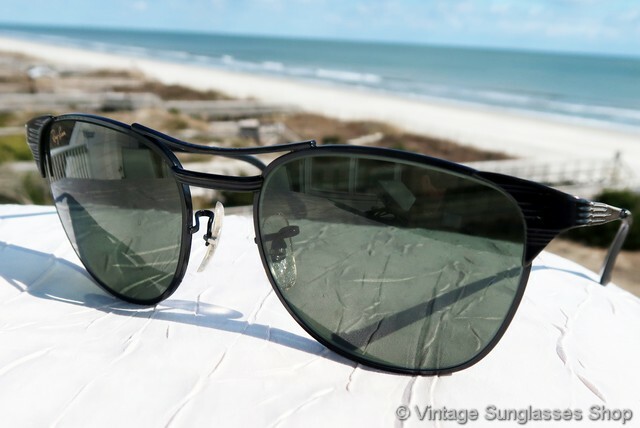 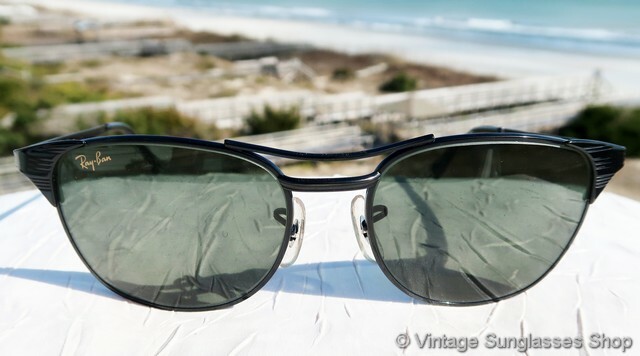 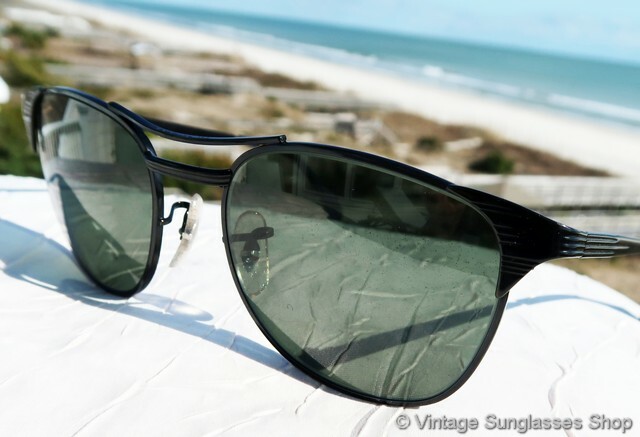 These are authentic new old stock Ray-Ban W1302 Signet II black chrome sunglasses, part of a magnificant collection of vintage Ray-Bans owned by a well known sports figure and customer of the Vintage Sunglasses Shop.